Remember my rant about cheese? Well since then I have gotten used to “Australian” cheese. I’ve been known to snack on some of the cheeses available to me here. I’m not a big cheese eater anymore like I used to be, neither is LJ but we have gotten better. Unfortunately CJ doesn’t like cheese at all. I suppose because I didn’t eat cheese while I was pregnant with him due to my Aussie cheese aversion, he didn’t get the taste in utero. 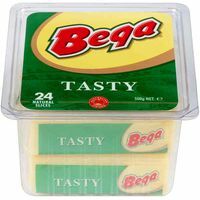 Now, my all time favorite cheese to buy here is the Bega Natural Tasty. It doesn’t have that artificial taste like the Kraft singles (individually wrapped) does because it doesn’t have any artificially added stuff. 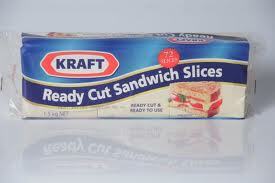 We used to have Kraft slices. They were sliced but not wrapped and it wasn’t completely plastic like the singles. I didn’t mind munching on those by themselves but I can’t find them here anymore. First Woolworths stopped carrying them and now Coles and I’m missing it. I loved to put those over some fries and melt them in the microwave. My boys, even CJ who doesn’t like cheese, would gobble it up. I can still use the Bega cheese for our cheese fries but they are a bit pricey $10 for 24 slices as opposed to $10 for 72 slices and they both have different tastes and textures but in a pleasing way. So my confession is, I’m actually missing a cheap Australian cheese. Can you believe that? Share the post "I have a confession"
Categories: Culture shock, Shopping, What the...?